Wild & Scenic - here we come! — Worse Than Poop! Why is carbon dioxide worse than poop? Find out with the help of an 8-year-old science expert, the Green Ninja, and a fleet of pooping cars! Wild & Scenic - here we come! 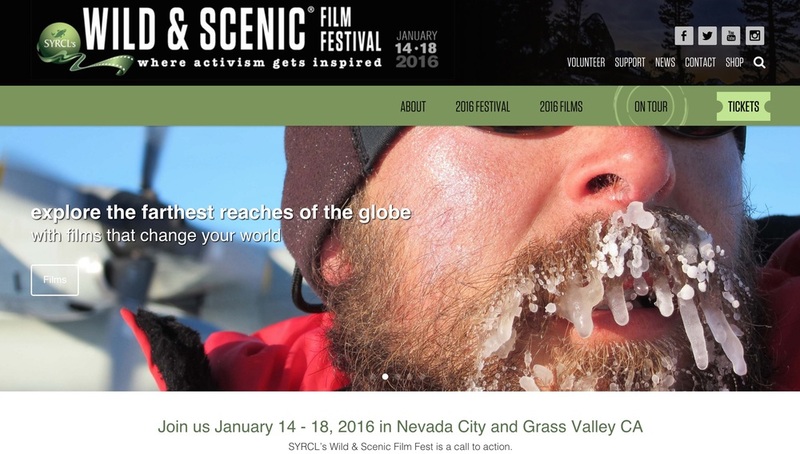 Elliot and I are headed to the Wild & Scenic Film Festival - one of the pre-eminent environmental film festivals - this afternoon. Worse Than Poop! will be screening tomorrow morning as part of the "Wild Child" children's program, alongside some fantastic-looking kids' films about plastic pollution, sharks, earthworms, and other creepy crawlies. Tune in to the live broadcast to hear our interview on KVMR FM 89.5. (Broadcast starts at 5:30pm tonight - our interview is scheduled for Saturday at 4pm). The weather is supposed to be miserable (100% chance of rain, with a high of 49 degrees F) - but I can't complain about the rain, and I'm looking forward to seeing some great films. (Tonight we're excited to see Racing Extinction.) I'm also looking forward to having interesting conversations with other environmental filmmakers, and with representatives from some great environmental organizations like EarthJustice and Friends of the River. I'll post more (here, and on our Facebook page) about our experiences at the festival over the weekend. Today, humans are creating more than 38 billion tons of carbon pollution every year - in fact, over 2 million pounds of it gets spewed into the air every second. This massive amount of pollution is now threatening the climate that all life depends on, and in the US, almost a third of that pollution comes from transportation. But the problem with CO2 is that you can’t see it, you can’t smell it, you can’t taste it - and that makes it hard for people to take it seriously. But what if you could see it? What if the 19 pounds of crap coming out of your car’s tailpipe was... crap? Elliot Ingle, a bespectacled 8-year old wearing a necktie and lab coat, takes us on a short journey to imagine just such a reality. Using a combination of live action video and animation, “Worse than Poop” will illustrate basic scientific facts (why DOES a gallon of gas produce 19 pounds of CO2? How is that possible - and where does it go?). It will also work to undermine some outmoded cultural norms (what’s a better status symbol - a poo-spattered Lexus or a spiffy clean Tesla - or a fun shiny bike with a cool sidecar?). Featuring mom’s minivan (one pound of poo per mile! ), the lumbering Suburban (19 pounds of poop in only 10 miles! ), the Tesla S (faster than a speeding Captain Underpants! ), the Nissan Leaf, the Mitsubishi i, and a flotilla of electric and people-powered bicycles and scooters, “Worse than Poop” will engage children ages 5-12 in the most important issue of our time: rejection of the fossil fuel lifestyle. It’s bound to make a difference. I mean, what kid doesn’t love talking about poop? Climate change facts, what is climate change, climate change definition.